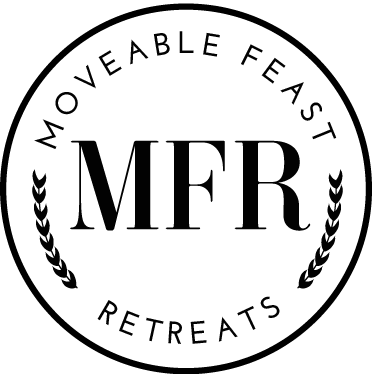 Moveable Feast Retreats takes a small group of amazing folks to a different country every year. We stay in exquisite accommodations that represent the place and immerse ourselves in the food, philosophies, and esthetic of our surroundings, shifting the lens through which we see the world. "To have come to this new world with time to read in a city like Paris where there was a way of living well and working, no matter how poor you were, was like having a great treasure given to you. You could take your treasure with you, too." Hemingway got this one right. This world can still be new, if you wander through it at the right pace. Turn a fresh eye to the overlooked corners of the planet. Seek each latitude’s innate wisdom on how to live well. And most importantly, let it sink deeply enough to take home with you in your pocket. Travel should improve your life long after you’ve returned home— so why does it often feel like a frenzied rush through new tastes and sounds that don’t leave a lasting impact on your quality of life? We designed Moveable Feast Retreats to be the vacations we always wanted someone else to plan for us: deep dives into the culture and soul of a place (without being stuffy or pretentious), food that makes you melt into a happy little puddle (without playing the cafe guessing game), and a good old-fashioned mix of moving and relaxing. learning and resting. And filling up a suitcase of wisdom, lifestyle tweaks, and memories to take home and unpack for years. No more rushed tours of foreign cities in huge groups. No more backpacking along the fringes of a culture. Moveable Feast Retreats sets the pace that Hemingway daydreamed about. If this sounds like your cup of locally sourced tea, then we’re gonna get along just fine. You want in on some of this? (yeah you do.) Well get your name on the list already! Bubbles and yoga? Oui, s'il vous plâit. Curious which Frenchy wine pairs well with which Frenchy film? (because a fine film needs a fine wine, non?) And what's up with Russian tea? We've got that too, and we want it in your inbox. And of course, we'll never share or sell your info because we're not terrible humans and you'll only get stuff that we'd want to read ourselves. If we could put a bow on it, we would. In the mean time, fill this out and then click around. Goodness gracious, there's so much to see!